Even if you haven’t read the papers or watched the news, you will know from your own experience that the credit crunch has hit people hard. With fuel bills and food prices soaring and wages and credit stalling, everybody is feeling the pinch. So what can you do to beat it? When money is tight, small savings will soon add up and make a difference to your disposable income. In the past you may have not paid much attention to which brands you bought in the supermarket or thought about your energy supplier. As the credit crunch takes hold you want to be thinking about theses things. Dropping from a known brand to a supermarket own can save up to 20% and you probably won’t even notice the difference. Energy prices have risen steeply so do you research on a comparison site to find out which is the cheapest option for you. Dropping down a brand in the supermarket is still nowhere near as cheap as growing your own food. Starting a vegetable patch or growing a few things in growbags will make you huge savings and is easy and cheap to get started. Try teaming together with a friend of your family so you can each grow a few different fruit and vegetables and share them. As the price of oil rocketed, this increase has been passed on to the consumer at the petrol pump and filling up is expensive. Take a look around your local area and find out which stations are the cheapest. If you can collect tokens or get vouchers for money off then take advantage of them. Also, think about how you drive your car as this can mean you use less petrol. Make sure the boot isn’t full of things weighing it down, try to go at a steady reasonable speed and limit your gear changes. 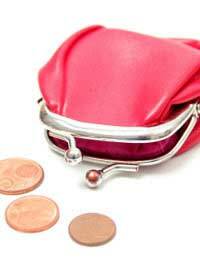 However many cutbacks you make during the credit crunch you may still find that you haven’t got enough money. If this is the case then you need to think about how you could earn some more. Ask your boss if you can work some extra shifts or do a bit of overtime. Could you have a car boot sale or sell items on eBay? Can you do a bit of babysitting or gardening for a friend? Mystery shopping can be a great way to earn a bit more money and fit around your schedule or think about filling in online surveys. The credit crunch is a hard time when you need to be thinking about making savings and spending smartly. Making small changes to what you buy in the supermarket and where you get your petrol can all add up. Do your research and find out which energy supplier will be cheapest for your needs. Also, consider other ways you can help yourself like growing your own fruit and vegetables or earning a bit of extra money.